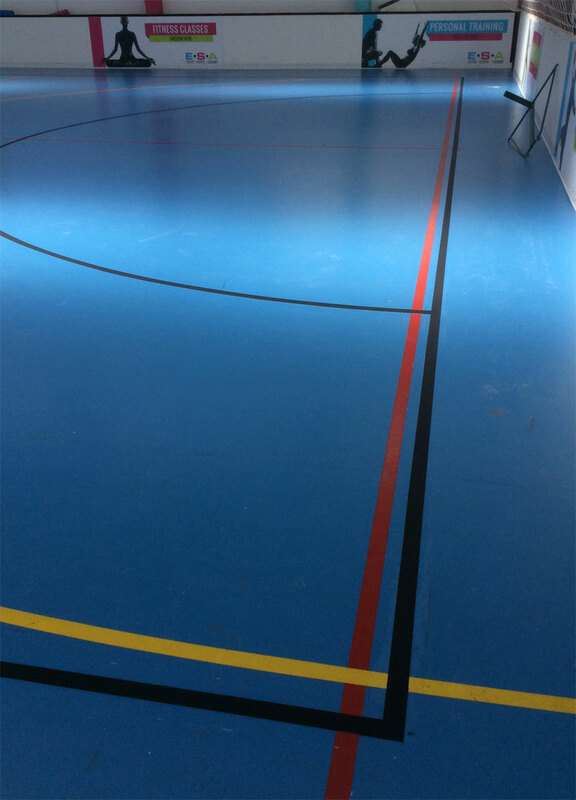 Hard wearing quality finished sports court lining for all types and surfaces. 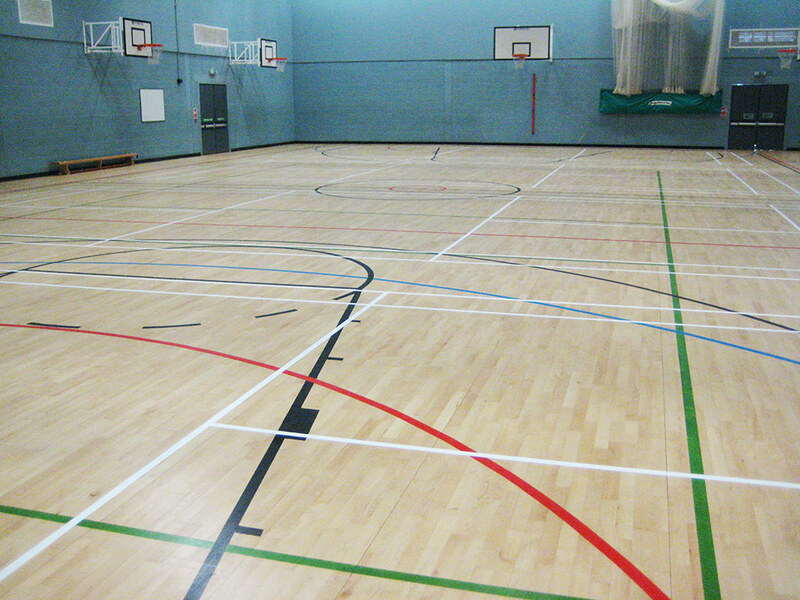 We provide a full sports court lining service. 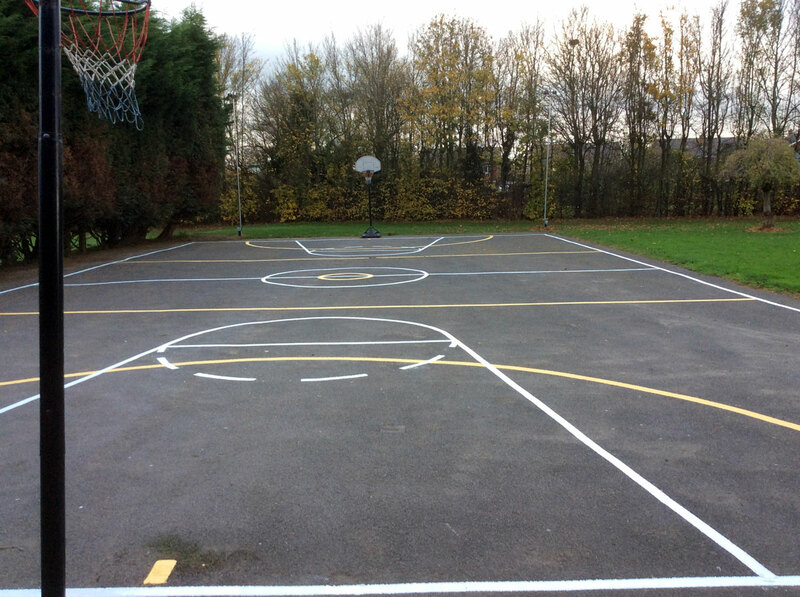 We offer a full coating process, whether you require simple court tramlines or full playing areas in contrasting colours. 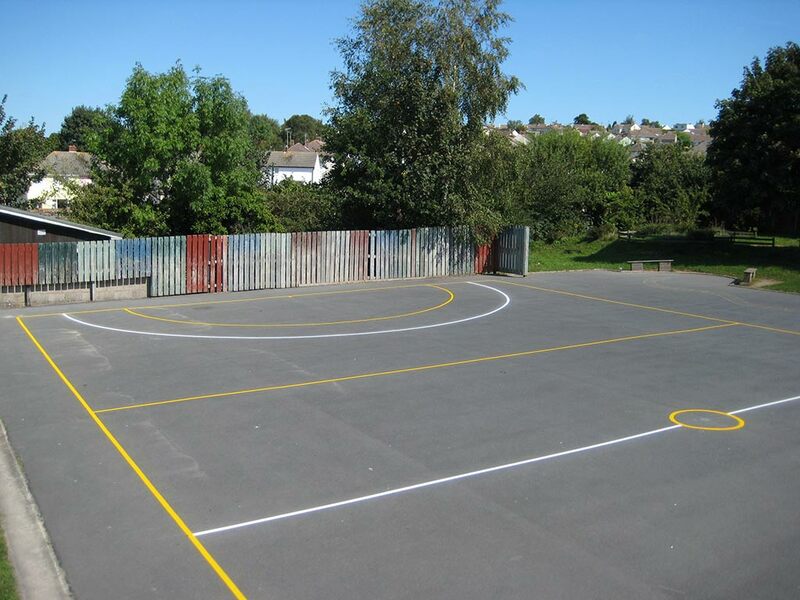 The use of specialist materials are guaranteed to provide a hard wearing and good looking finish, while a good Skid Resistance Value (SRV) will ensure the exercise area remains safe throughout the life of the court. The benefits of looks, durability, safety and cost are equally important across the private and public sector. 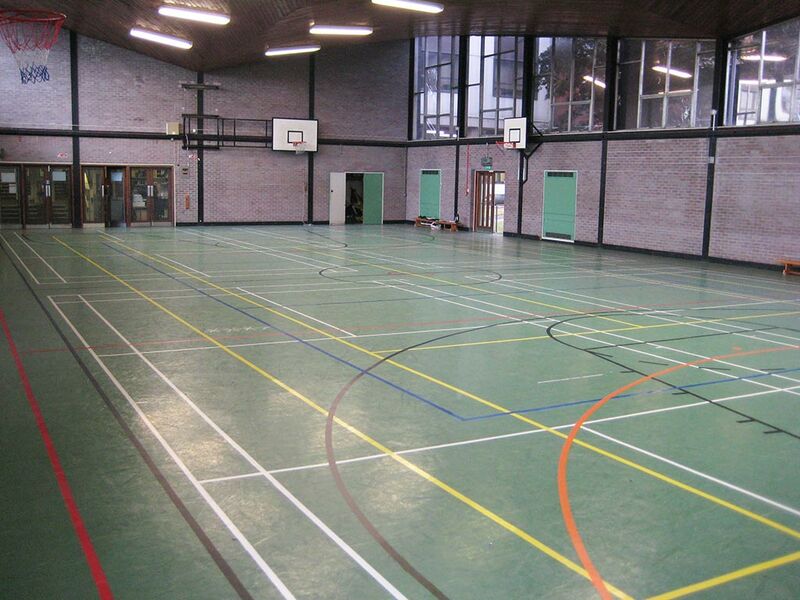 We are also able to provide preliminary maintenance for surfaces likely to experience regular and heavy usage, like school floors. Questions about sports court markings?